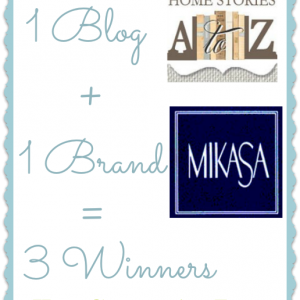 I am so excited to share with you today’s project! If you have ever wanted to know how to create a custom table runner for under $20, then you have come to the right place! 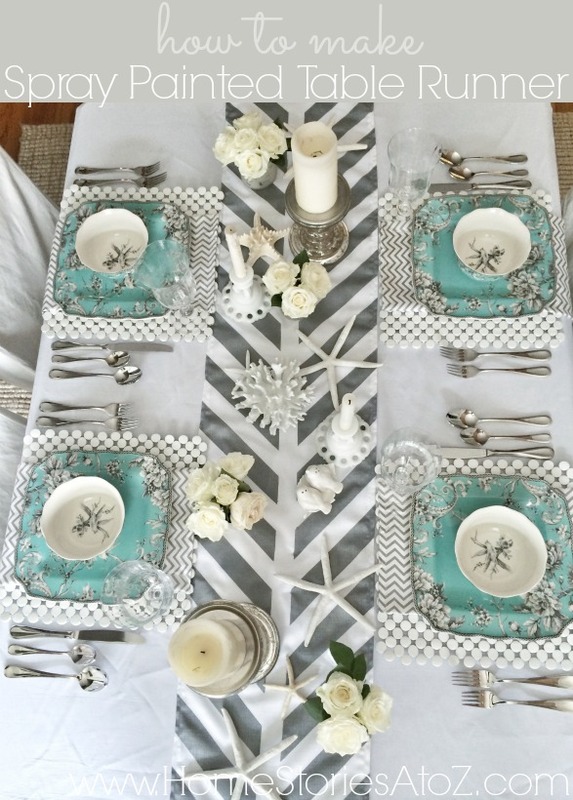 With the help of ScotchBlue™ Painter’s Tape Original Multi-Use (2090), it is incredibly simple to create a table runner in the exact color and design of your choosing. I find that most store-bought table runners are not nearly long enough to drape the length of my dining room table. To solve this problem, I purchased an inexpensive plain-white tablecloth for $8 in the exact length that I desired. This tablecloth costs less than it would have to purchase fabric by the yard. I wanted my runner to be 14 inches in width so cut it to 15 inches. This left a half inch inseam on each side for sewing. 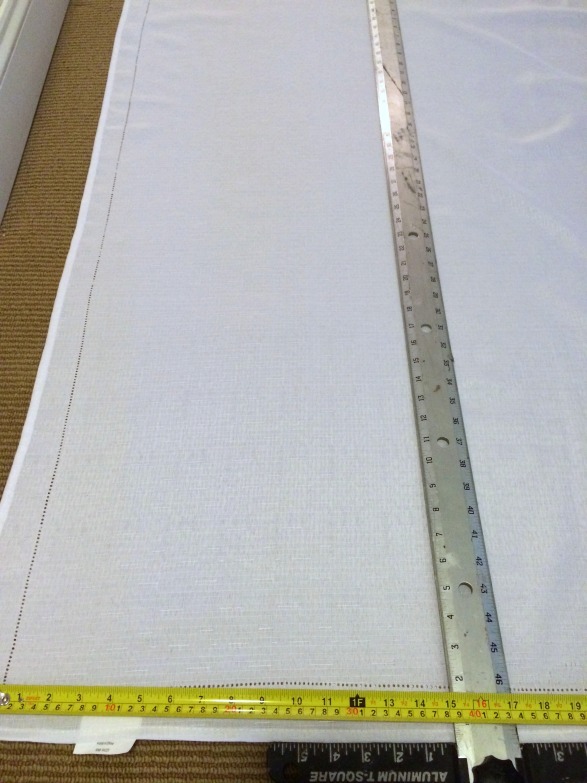 Step 2: Use a t-square and chalk line reel to mark your fabric. Okay, I will be the first to admit that this is not a conventional way to mark your fabric for cutting, but it works beautifully! If you want to go the conventional route, use an invisible fabric marker to mark your fabric. I didn’t want to purchase a fabric marker, and I had a chalk line reel in the basement. 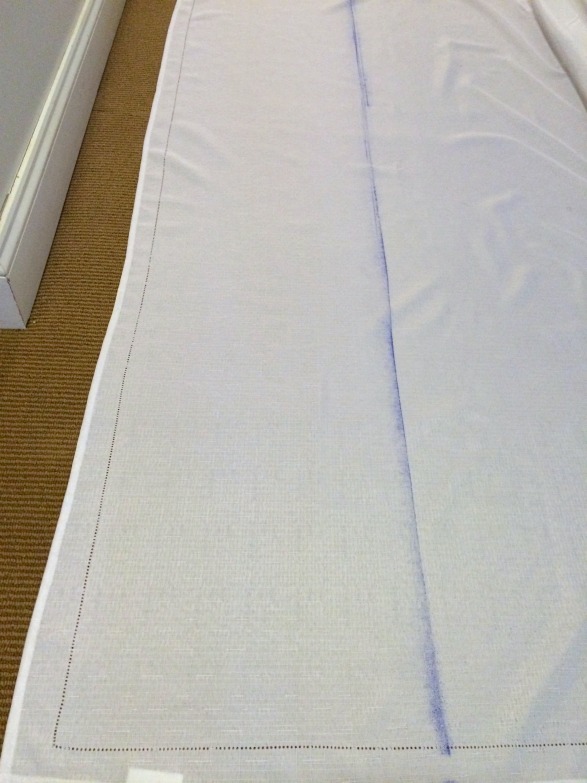 Pull the chalk line reel the length of your fabric using the t-square as a guide and snap the line. This will create a straight chalk line marking where to cut your fabric. My fabric is 100% silky polyester so the chalk dusted off of the fabric without a problem. Step 3: Iron the seams of your fabric. 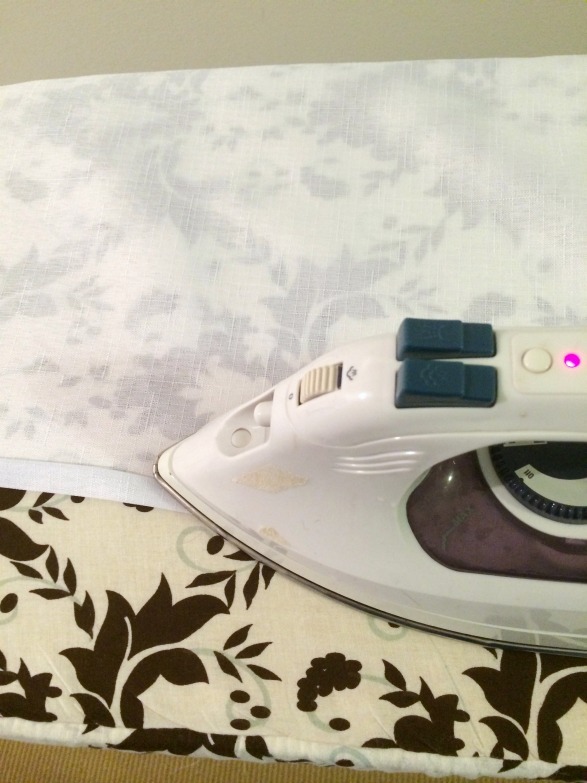 Fold the fabric approximately one ¼ of an inch and iron a straight seam. Do this on both sides. You will then fold that seam over another ¼ of an inch and iron again on both sides. Step 4: Sew or glue your seams. 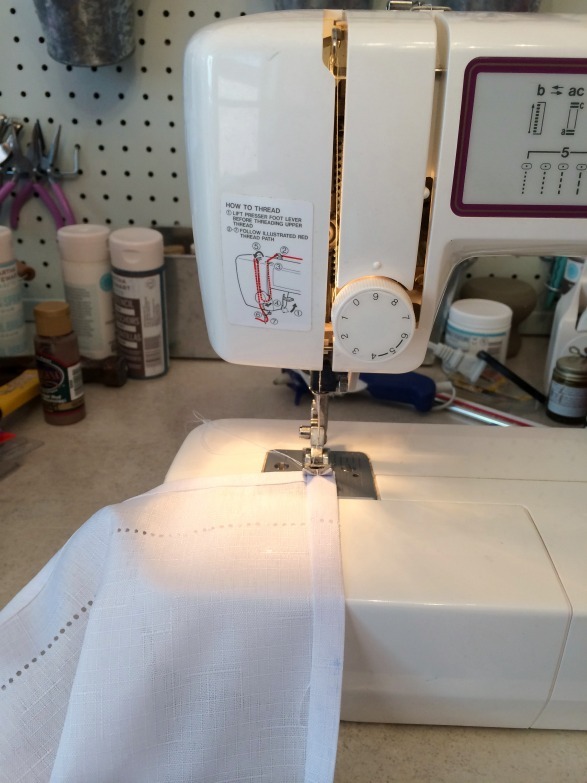 Sew a straight stitch for each of your ironed seams. If you do not own a sewing machine, you can use hem tape or even fabric glue to secure your seams. Step 5: Use ScotchBlue™ Painter’s Tape Original Multi-Use (2090) to create a design. 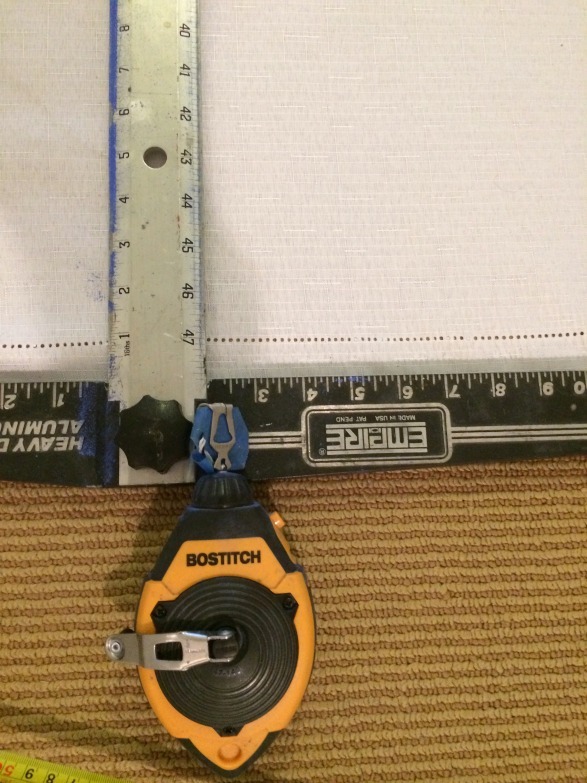 To create the pattern for my table runner, I first measured the center of my tablecloth and ran a long piece of ScotchBlue™ Painter’s Tape the length of my runner. I then used a t-square to measure the spacing between each “arrow” design. Step 6: Spray paint your table runner. 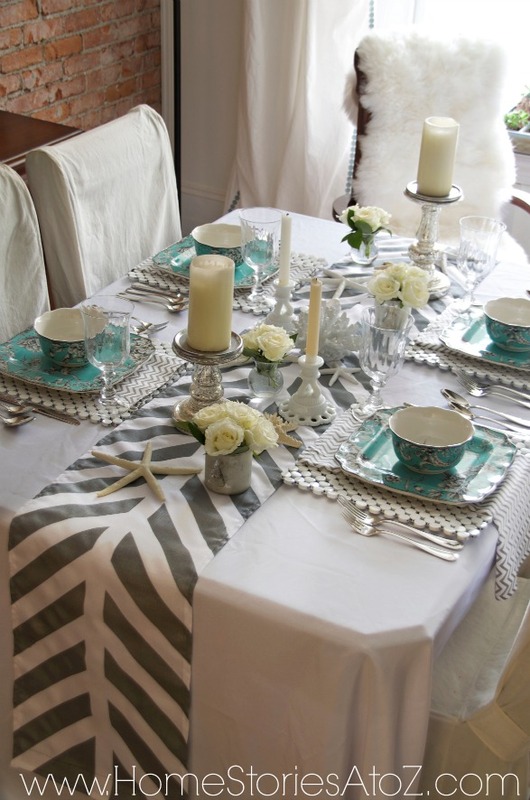 Step 7: Enjoy your gorgeous table runner! Woohoo! Enjoy your custom table runner that you made for under $20! This runner looks perfect with my new dishes, and I am absolutely thrilled with how it turned out. I can’t wait to show it off to company. By the way, dinner is at 6 pm if you care to join me. Be sure to bring a bottle of wine! Love this! I spray painted stripes on my curtains last summer, and was so thrilled with how it turned out. I don’t know why I haven’t thought of trying a table runner! 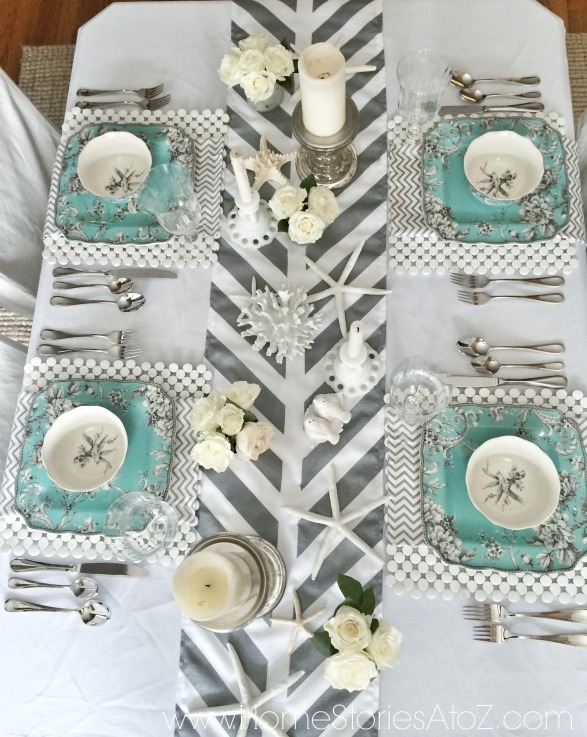 One more project to add to the list…..
Gorgeous table setting and runner! Everything looks very well put together! May I ask where you bought those place mats? LOVE! Thanks Julie! The placemats were purchased at a store called Christmas Tree Shop. They were wood but I wanted them to look more like “penny tile” so I primed and spray painted. I love it, fantastic!!! Two questions, who makes those gorgeous plates and bowls – they are my favorite color and what is the gun like thing you have on your spray paint can? OK, more than 2 questions, have you tried to wash the runner? Did that spray paint smell stay on the fabric? Ha! Come on over (and I like reds and sweet whites so I’m not too picky) :). 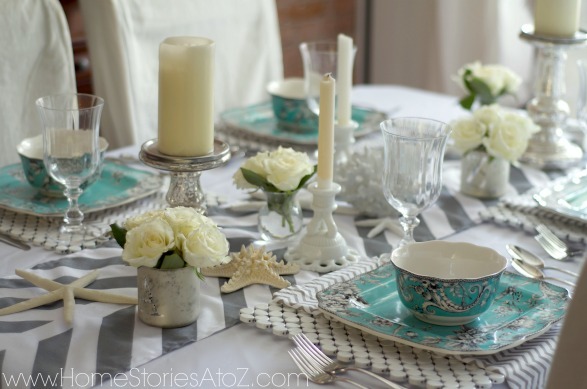 The dishes are from Marshalls/Home Goods. The gun on my spray paint is a must–it’s by Rustoleum and makes spray painting much easier with more control. I haven’t tried washing the runner, but I will wash it on the gentle cycle and air dry if I need to. Have you ever washed fabric with spray paint on it? It doesn’t budge. Trust me on this one. I have a pair of favorite shorts to attest to this fact. I left the runner out in the fresh air to cure for most of the day and when I brought it indoors it did not smell at all. Thanks for visiting me!